Are you interested in global issues and social justice? Do you want to engage with big issues in a practical setting and get the opportunity to network with civil society professionals? We want you to volunteer with us! As a network of over 100 members, the BC Council for International Cooperation seeks to provide opportunities for British Columbians to engage with global issues and get a taste of what it’s like to be part of the civil society sector. With 17 Sustainable Development Goals to tackle locally and globally by 2030, there is much to be done – get involved today! Description & Context: BCCIC is seeking a volunteer to assist with the researching and writing a series of policy briefs on SDG implementation in Canada. The volunteer will help with the research process including reviewing documents, literature and conducting interviews. The position will also include writing the policy brief using the research and outline provided. 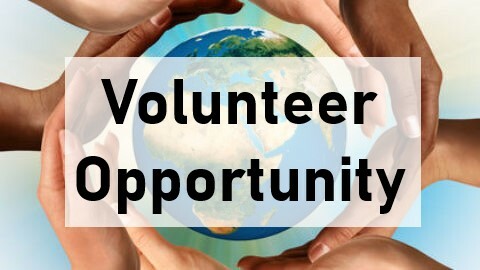 The volunteer will work as part of a team with other BCCIC volunteers. We encourage a collaborative work environment and prefer if volunteers are able to come into the Vancouver-based office. The amount of volunteer hours as well as the balance of office-based and remote work can be negotiated with the prospective volunteer though we would prefer a minimum commitment of 14 hours/ week to ensure a meaningful and impactful experience. Volunteer Benefits: Volunteering with BCCIC is an unpaid experience for which no monetary compensation is provided. Understanding and appreciating that those who volunteer with us are seeking to gain experience and contribute to moving toward a better world, BCCIC staff work with each of our volunteers to make the experience of volunteering with us as meaningful as possible. Our volunteers set their own schedules and decide collaboratively with a BCCIC staff member as to the tasks they wish to perform. Duration: Volunteering with BCCIC is flexible, but to reduce volunteer turnover we would prefer if volunteers stay with us for a minimum of 3 months. Exceptions are made for projects with quick turnaround times. Please do include the time commitment you are able to make within the body of your statement of interest. During your orientation, BCCIC staff will work with you to set the number of hours you wish to commit to on a weekly or monthly basis. In the past, BCCIC volunteers have generally committed to 7-14 hours a week. Orientation: All BCCIC volunteers have a half-day orientation session to better understand the organization, their volunteer project, and what it means to be a volunteer with BCCIC. Communication and Accountability: We hope to engage our volunteers in tasks that are interesting, impactful and contribute to the work for the BCCIC. As such, we hope for a high-degree of accountability. In the orientation, volunteers will schedule regular check-ins in order to track progress, identify and reflect on expectations, and review overall satisfaction with the volunteer experience. Deadline to express interest is November 15, 2018 at 5:00 PM. Successful individuals will be contacted on November 16 to organize a brief in-person interview at the BCCIC offices.